Process all the vegetables,lemon and apples in a juicer.If you use banana and blueberries use a blender. 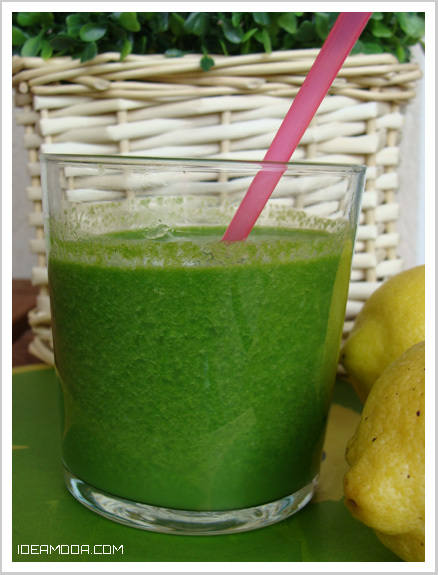 The green lemonade is truly a really healthy drink! It infuses your body with millions of enzymes,keeps your immune system strong and offers protection against osteoporosis. This particular style of blending half fruits with half greens was introduced by Victoria Butenko.I’ll post here a video where Victoria Butenko’s son tells more about the green smoothie.